The perfect bouquet for a holiday, birthday, anniversary or other special day. 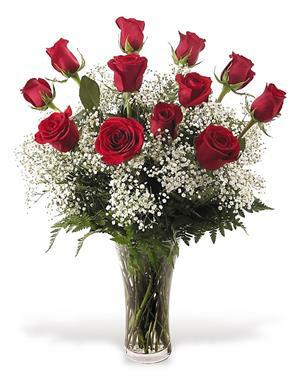 This bouquet of a dozen red roses adorned with a classic mix of white baby's breath and ferns is a classic gift of love. Send it today.